Can we tighten up the graphics on level three? We’ve a mere five days left until Space Junk is set to be released upon the world, and for a quick development cycle, this little nug is shaping up to be quite fun! You’ll get to play it soon. I promise. Until then, take a gander as this picture. It’s worth a thousand words, you know. Ready yourself for some Space Junk! The fine folks over at Boing Boing have issued a contest revolving around chiptunes. The deadline is July 5, so we figured it might be fun to take a break from our other projects to throw something together in a few weeks. 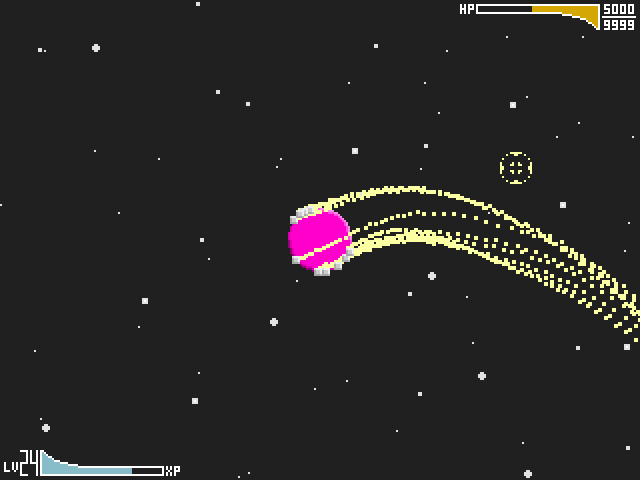 Without giving too much away, you should know that our game is about music and space junk. Go ahead and take a look at this picture. 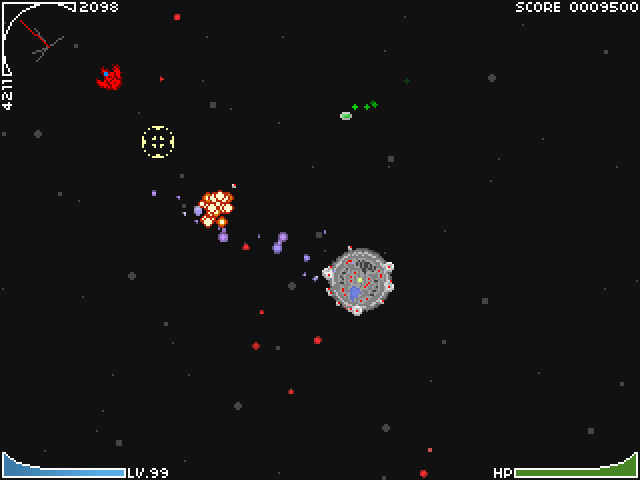 Now, stay tuned for more news as the game is developed. I’ve not much time: I think they’re on to me. Timbo knows too much. Just look at these images, ASAP. Ever wonder what a game developer does in his free time? In my case, I make more games. Once I make those games, I go around posting them on message boards with cryptic messages. Then I chuckle a bit to myself at my cleverness then pass out due to sleep deprivation. You can play the game now by installing Löve (real cool Lua-based game framework) and downloading and running hello.love. You can also continue reading. One of the biggest problems when working on a game (or any project that is constantly changing) is trying to predict the future. From the start, we knew we wanted to have multiple maps with different layouts in each; however, upon implementation, many unknowns appeared. Will we ever change gravity on a map? What about the map radius? How about friction, lighting, run speed, jump height… the list continues ad nauseum. Warning: The following post contains math. To make up for it, I’ve also included screenshots with captions consisting of mostly smaller words. Edited: The final bit of math is now actual math and not made up wrong math. Videolog: I May Not Be A Cartographer, But I Can Make Bitchin’ Maps!